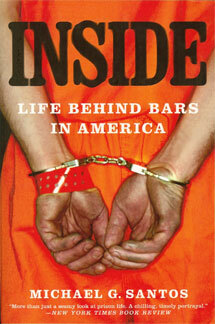 The New York Times published a feature article by Peter Duffy that described my friend Joe Reddick as a prison author. I knew Joe as Joe Black, which was the name he used in prison. I feel very proud to have played a role in influencing Joe to develop his writing talents as a strategy for conquering the stigma of confinement. In a way, I served as a mentor to Joe, just as many in society have worked to mentor me. Joe does not write the same type of literature as I write. He writes urban fiction and he does so with a panache that captivates his audience. My lovely wife Carole helped Joe bring Street Team, his first novel to market. Carole’s background is much more mainstream than the characters in Joe’s stories, though she enjoyed reading about the human relationships and character lives that Joe developed. He has since written other novels and is writing a screen play. I am convinced that Joe has a brilliant career ahead of him, and I feel privileged to have contributed in some small way to helping him commit to a writing career. Although Joe’s books describe the challenges of growing up in the inner city, they also show readers the consequences that follow criminal choices. His characters either die or serve long stints in prison for the role they played in drug trafficking and other crimes. That message may keep young people reading, and Joe may inspire some to use a pen rather than a gun to reach higher goals. Joe and I met while we were confined together in a low-security prison at Fort Dix, New Jersey. We built a friendship and I look forward to seeing him again when release comes. He has been free for nearly one year now, and after 16 years of imprisonment, I’m sure that he appreciates the gift of freedom. I wish him happiness and continuing success.